Olivier Giroud’s scorpion kick strike for Arsenal against Crystal Palace last season has been shortlisted for FIFA’s goal of the year award. He has been named alongside Venezuelan teenager, Deyna Castellanos and goalkeeper Oscarine Masuluke. 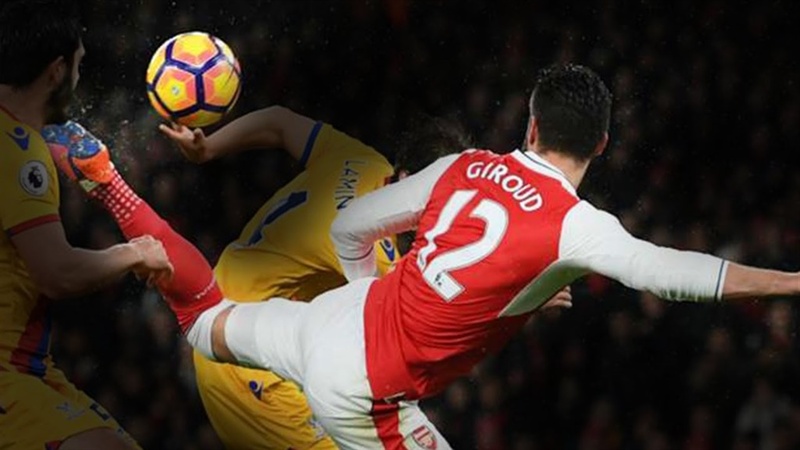 It was an amazing New Year gift to Arsenal fans when Giroud scored with an improvised volley in the Premier League match on January 1. He took an acrobatic flick with his left heel to convert Alexis Sanchez’s cross into the net off the crossbar while tumbling forward. Arsenal won the match 2-0 and Giroud, who admitted afterwards that he had a bit of luck with his connection, said it was the best goal he had ever scored. The 31-year-old is the seventh Frenchman to be nominated for the award but the first to make the final shortlist of three, world soccer’s governing body said on its website. (www.fifa.com).